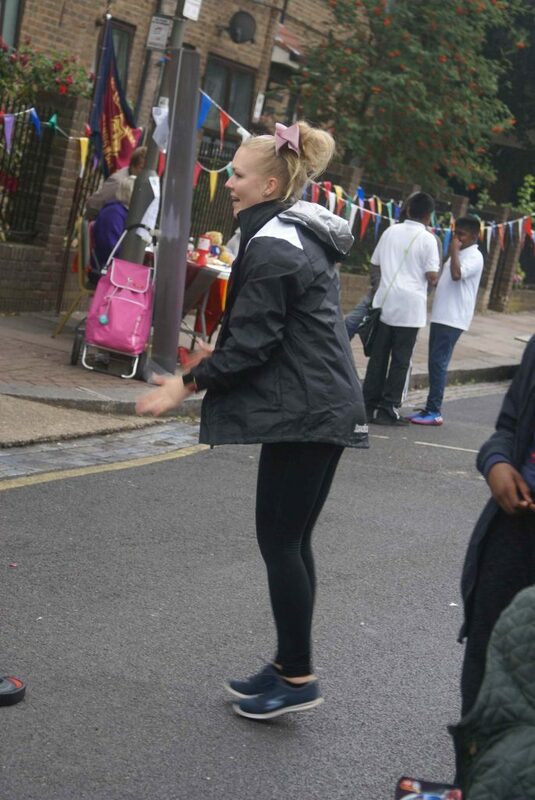 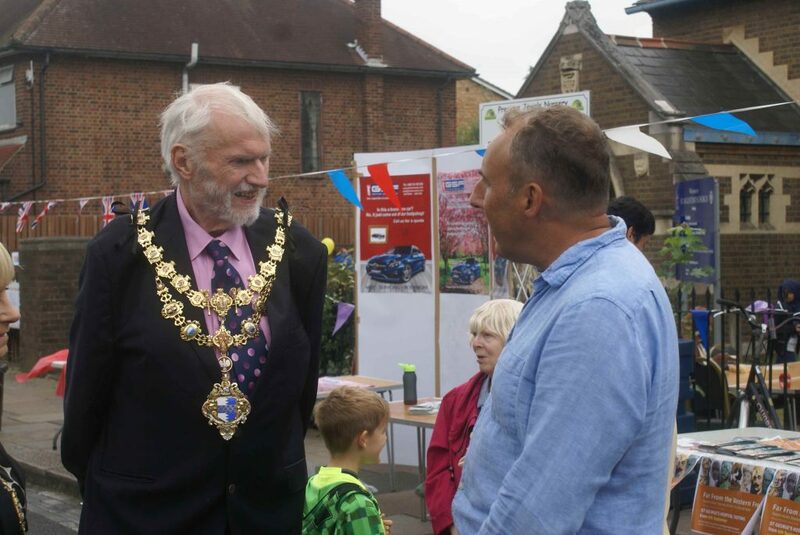 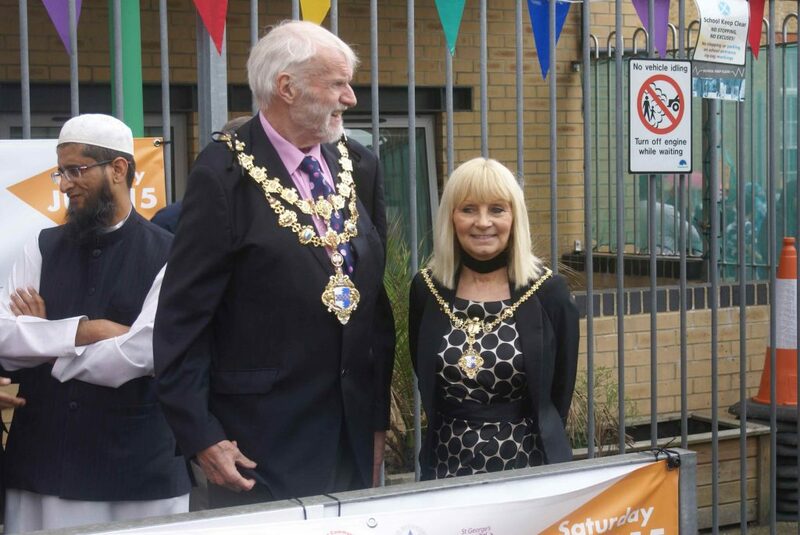 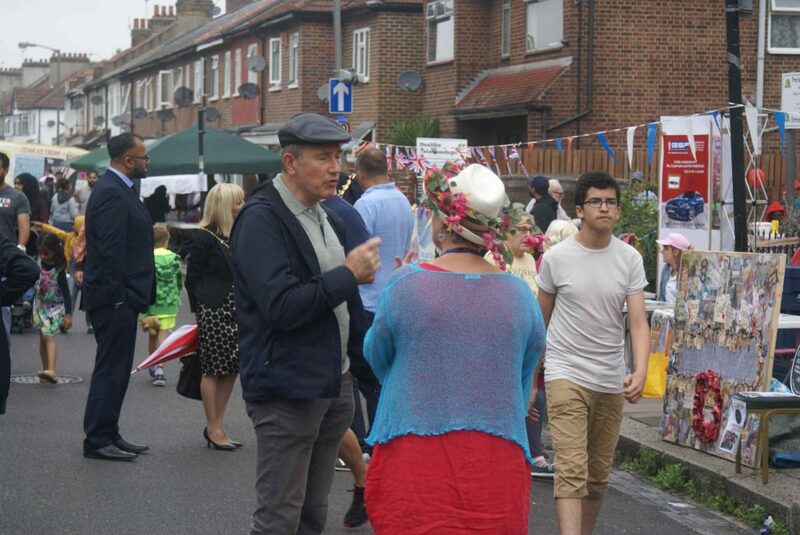 Back after a two year gap, the Community Fun Day on 15th July in Broadwater Road was a resounding success. 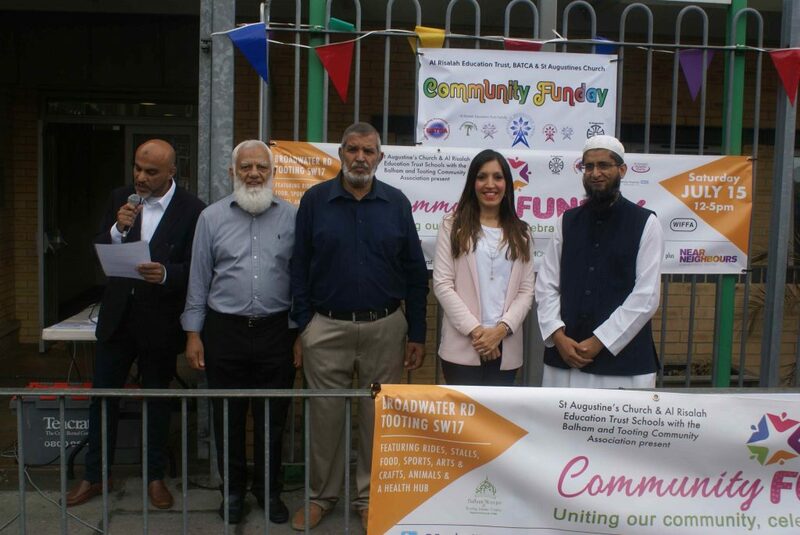 Organised by the schools of the Al Risalah Education Trust, St Augustine’s church and BATCA, it showed the power of the community coming together to celebrate openness and diversity. 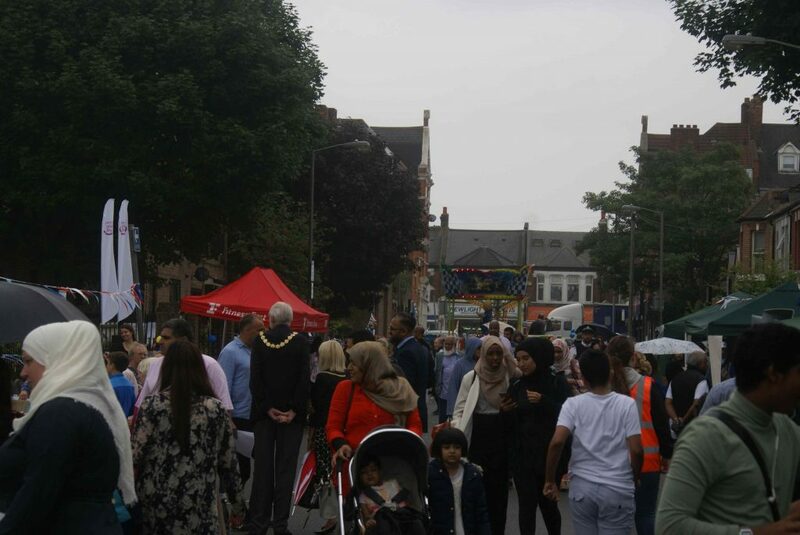 Large crowds from all faiths and backgrounds came and had a great day out together. 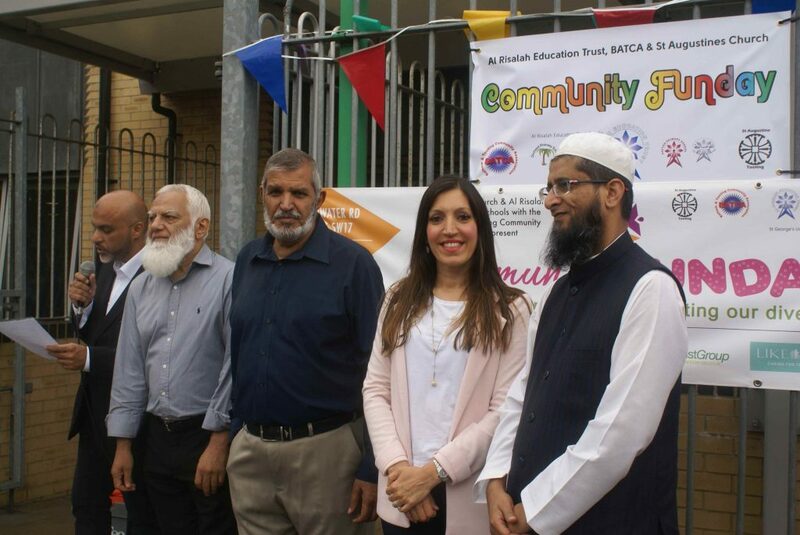 Many thanks to all those involved from BATCA and beyond. 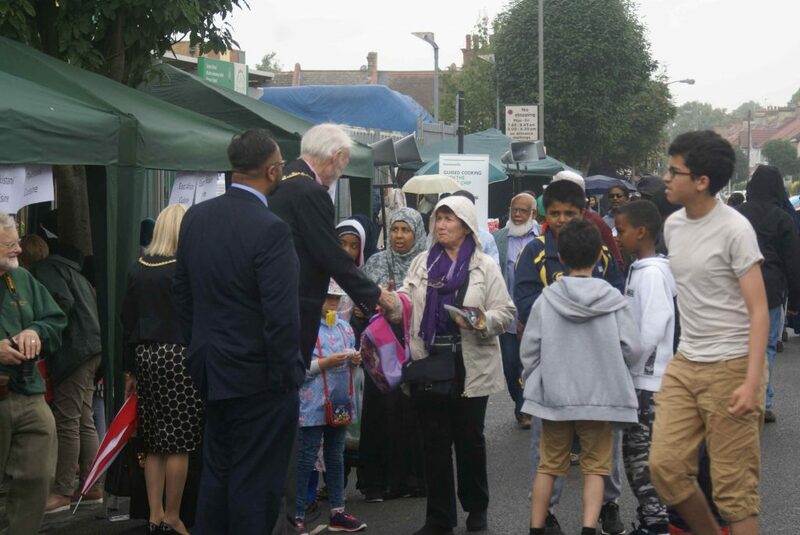 There was masses for everyone. 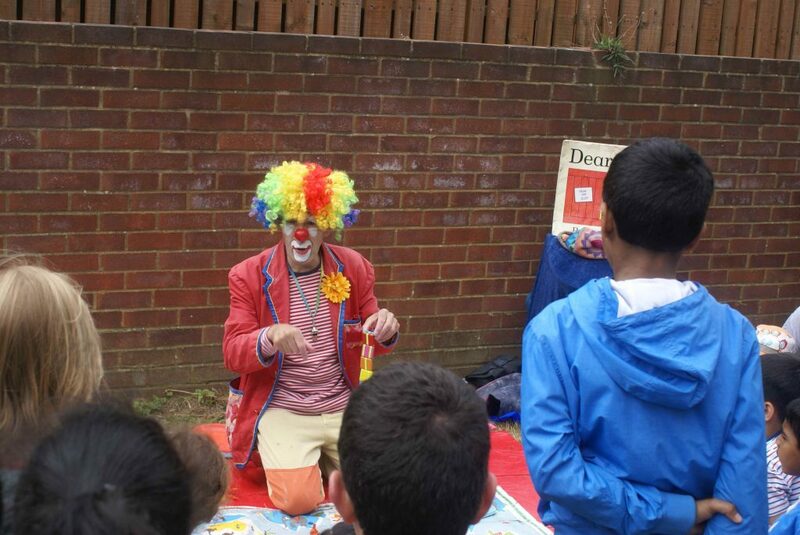 Children loved the thrill of the giant slide and rodeo and Charlie the Clown’s magic tricks; sports organised by Ernest Bevin College; and fairground rides and traditional sideshows. 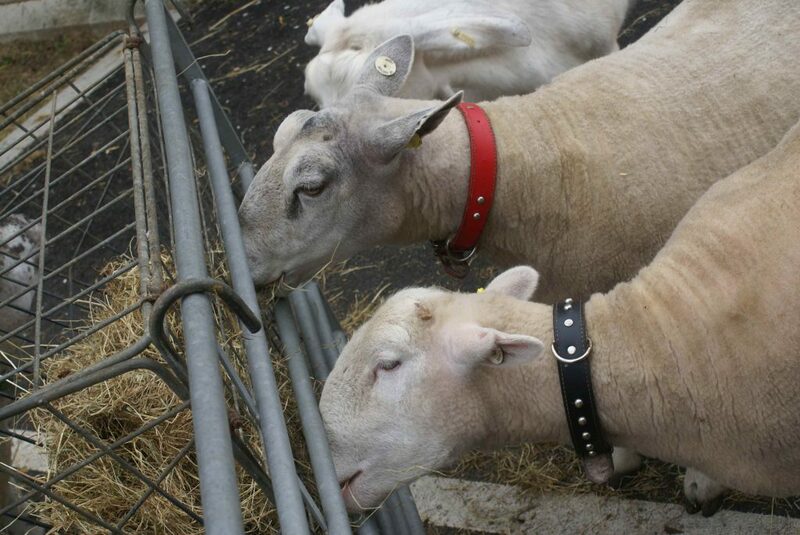 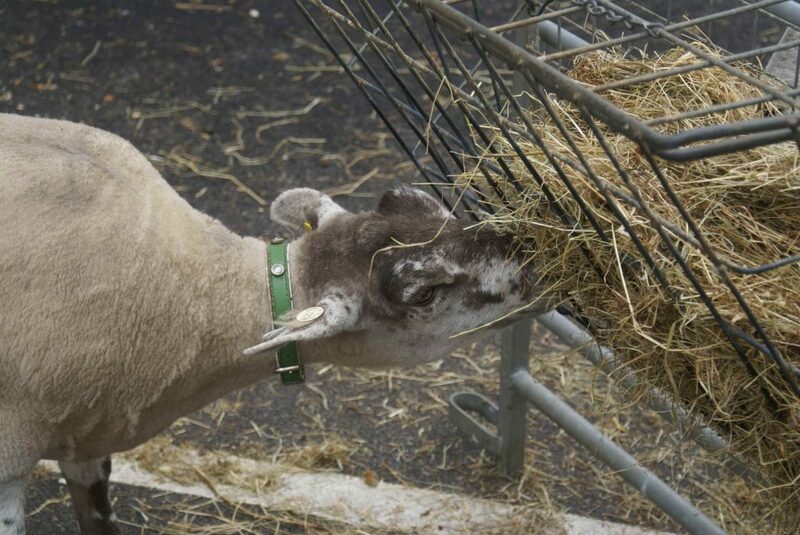 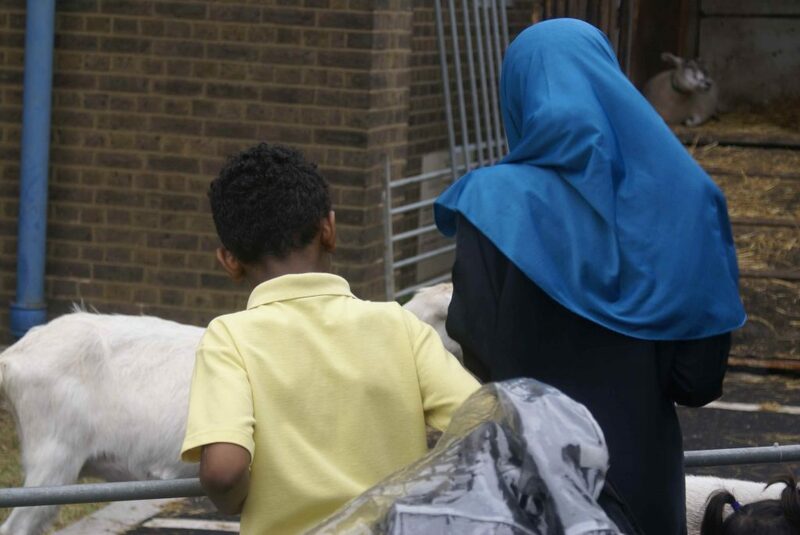 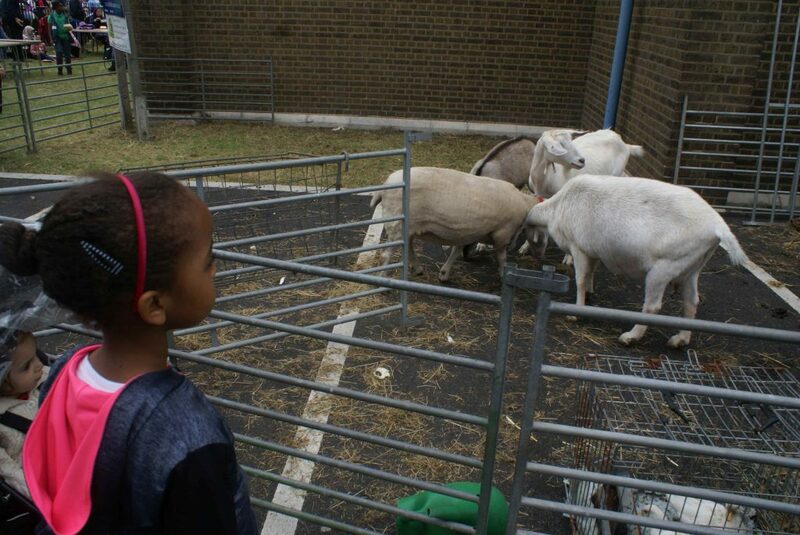 Farm animals from Kingston City Farm brought the countryside to town. 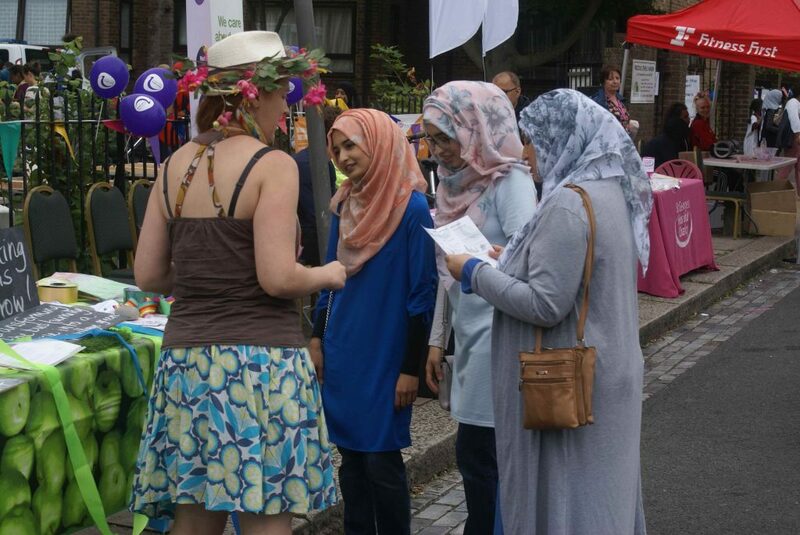 Families relaxed over superb food from Arab, Somali, Caribbean and IndoPakistani cuisines. 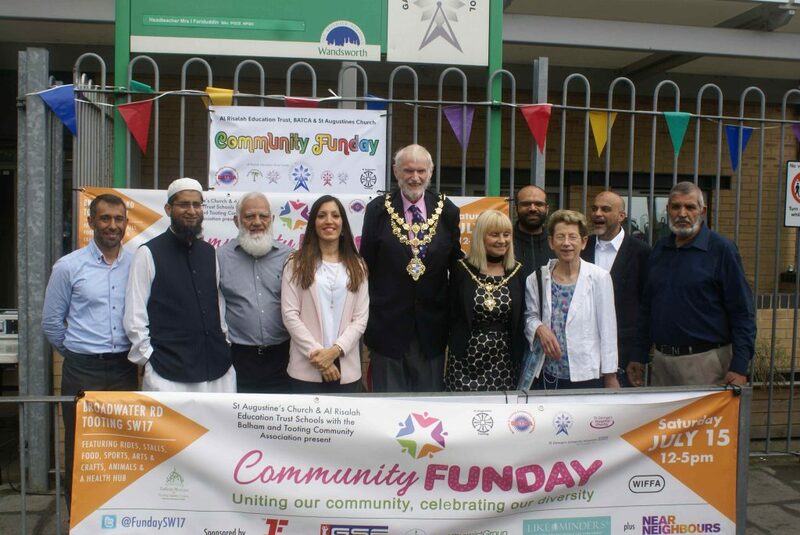 The Fun Day gave a voice to community groups and charities, including several supporting disabled children. 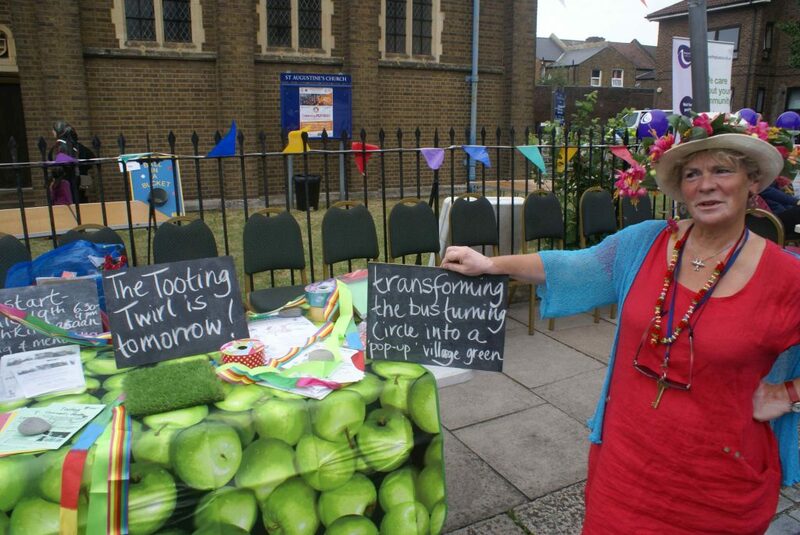 Tooting Bec and Broadway Neighbourhood Planning Forum and Transition Town Tooting brought fun into their consultation on what local people want for Tooting’s future. 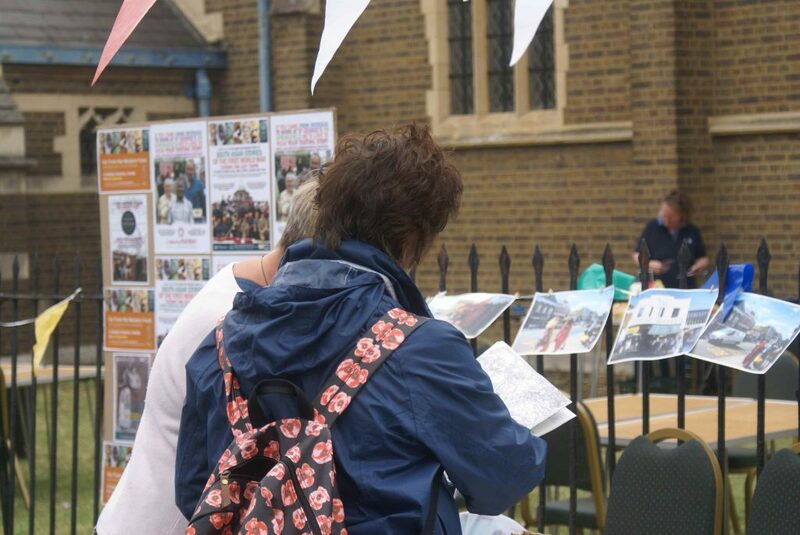 Summerstown 182’s display brought WW1 Tooting to life. 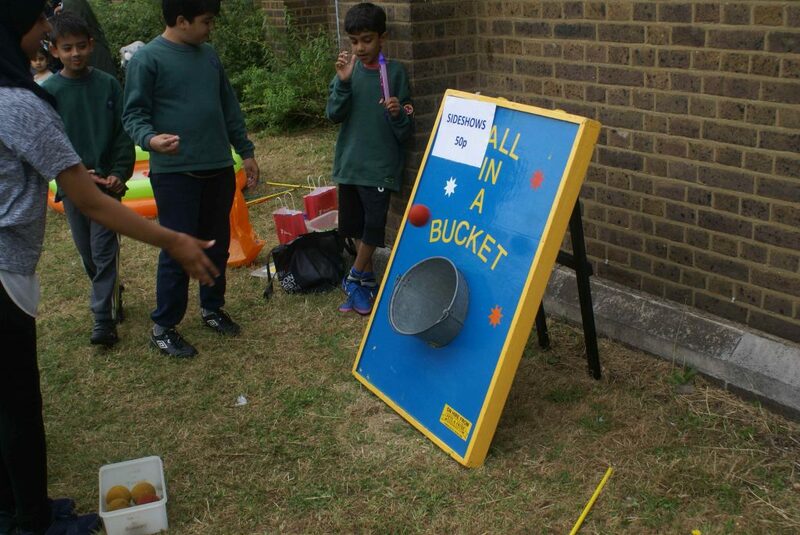 The Fun Day explored the past. 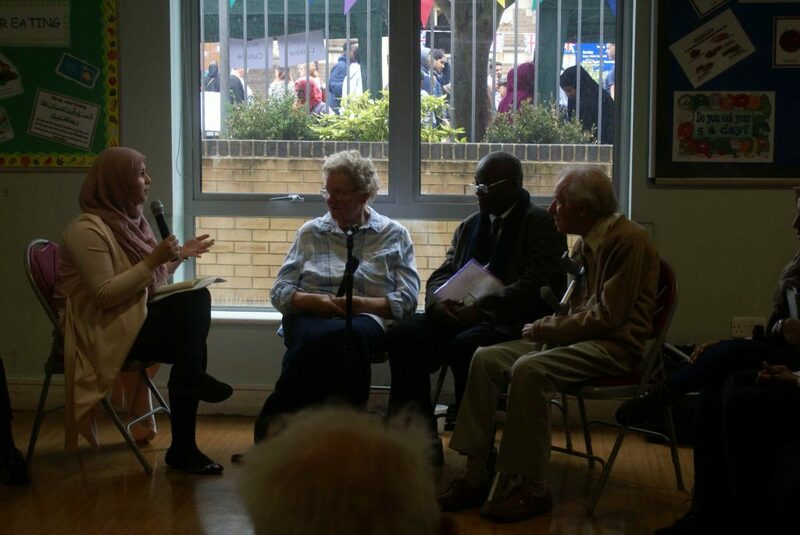 Local history was compellingly told in a workshop bringing together older people to recount their lives in Tooting from WW2 on to students of Al Risalah Secondary School. 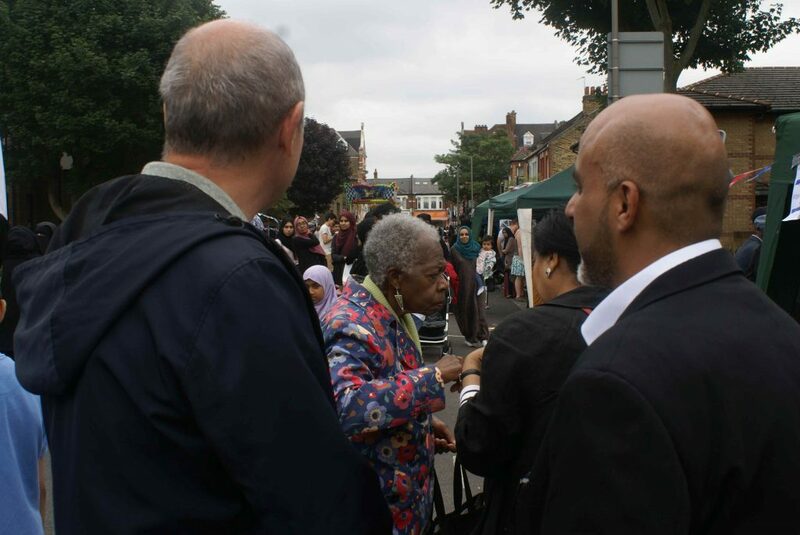 Many visited the Black History exhibition created by the Wandsworth Community Empowerment Network to illuminate the black British experience. 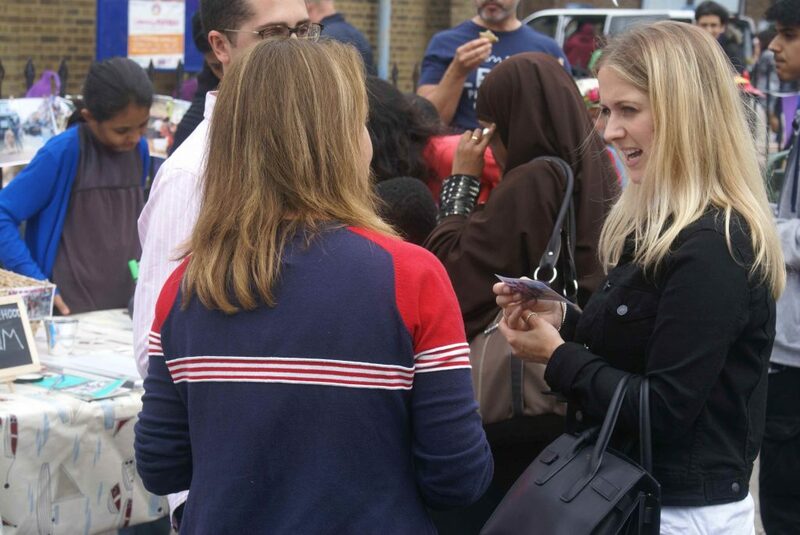 Many received health checks and advice from the NHS Health Hub. 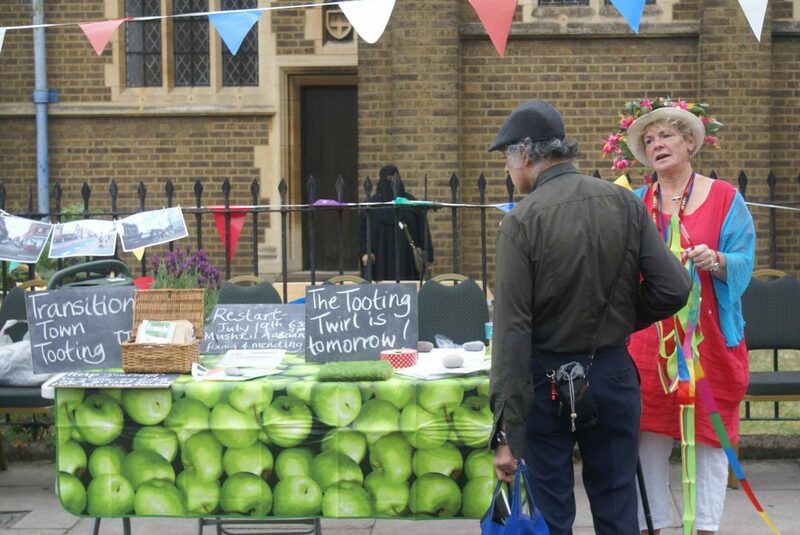 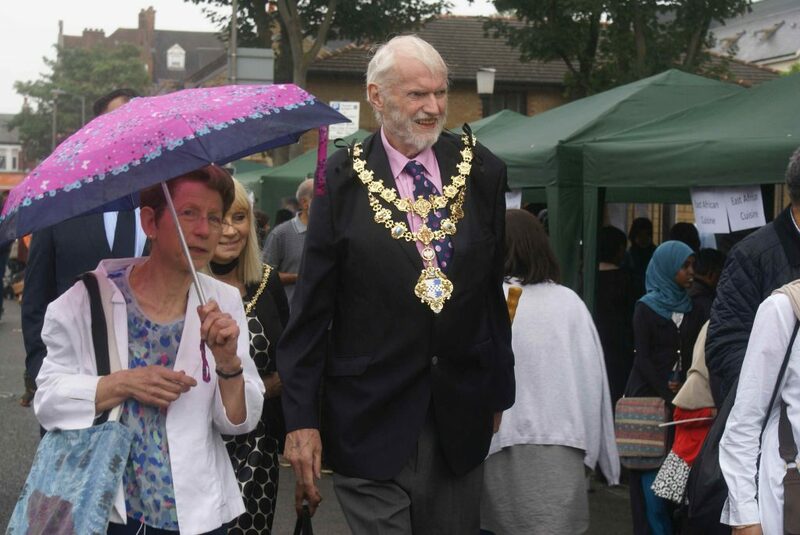 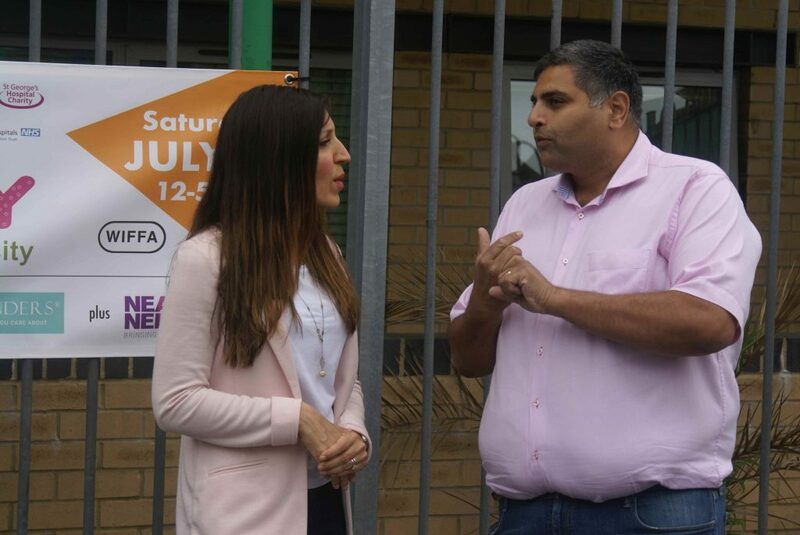 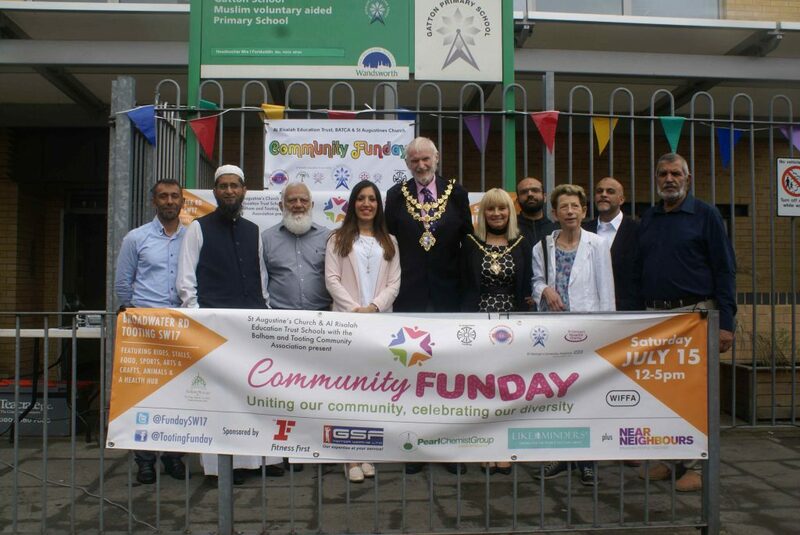 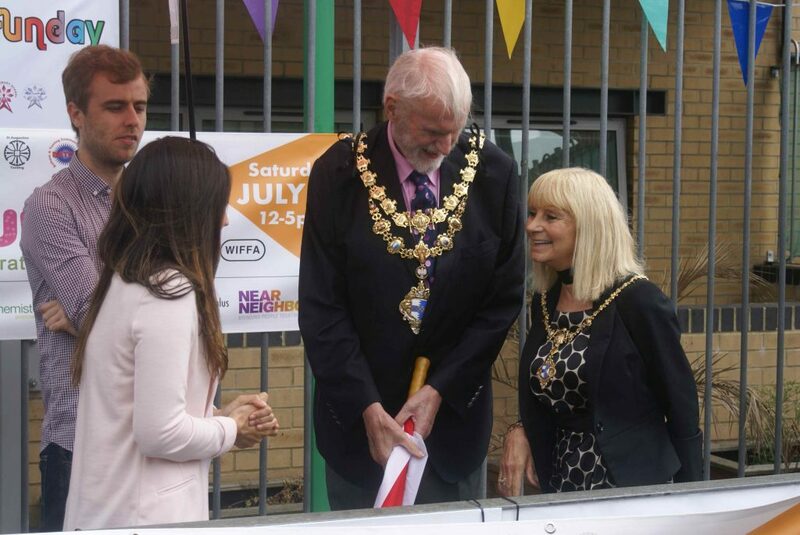 Dr Rosena Allin-Khan, MP for Tooting and Councillor Jim Madden, Mayor of Wandsworth praised the day for uniting the community in celebration. 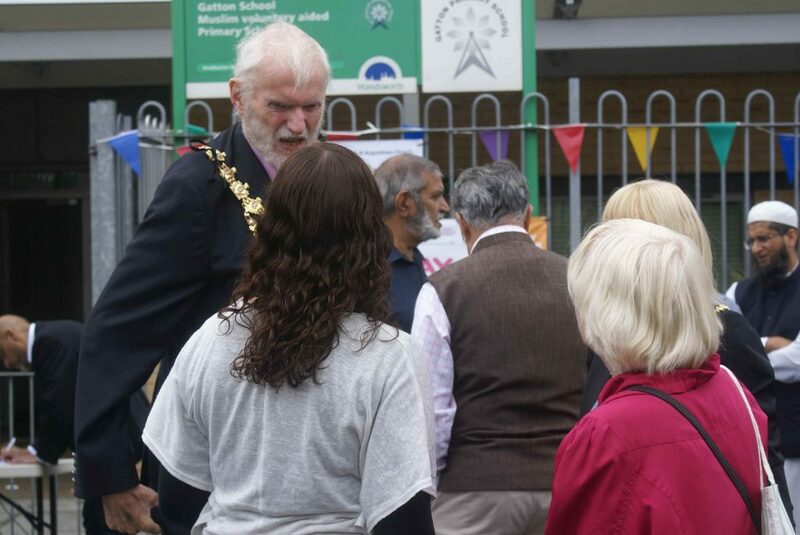 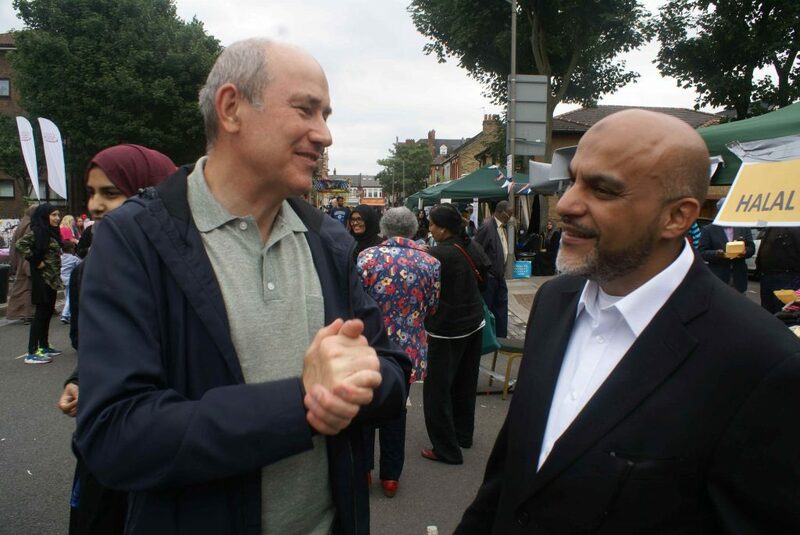 Ravi Govindia, leader of Wandsworth Council and many councillors also came. 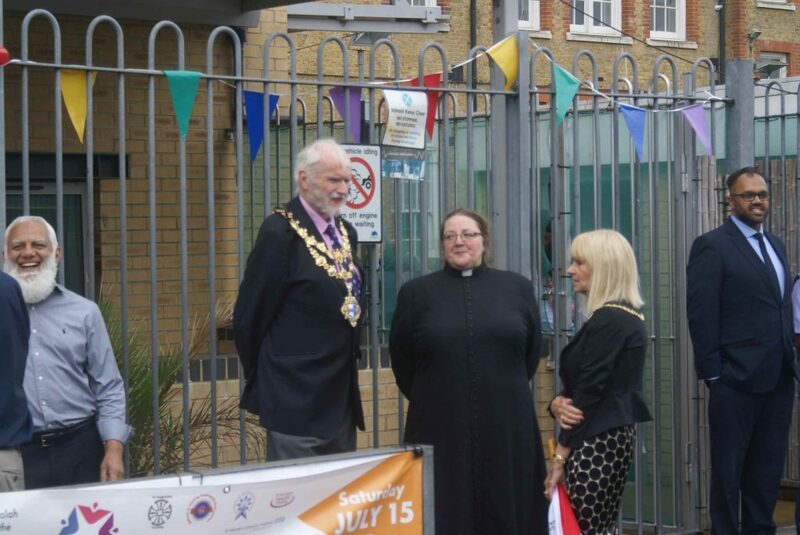 Significant funds were raised to support projects for children and older people at St George’s Hospital. 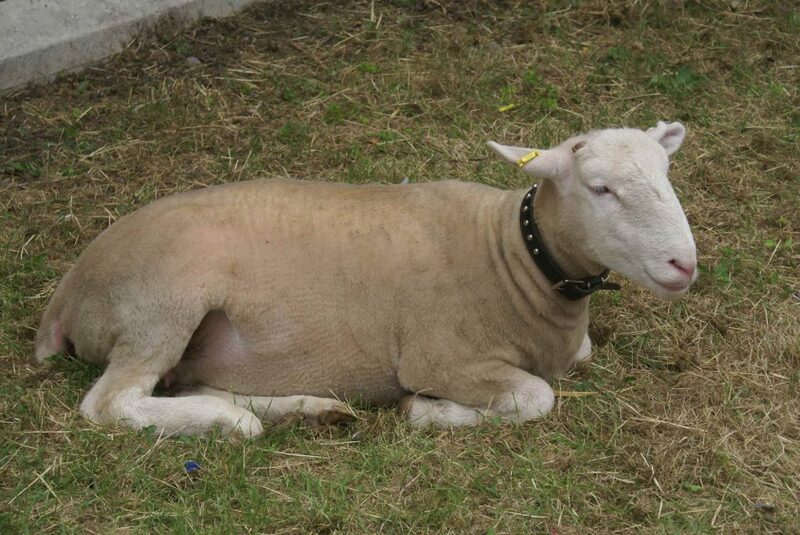 Watch out for announcements in the next few weeks. 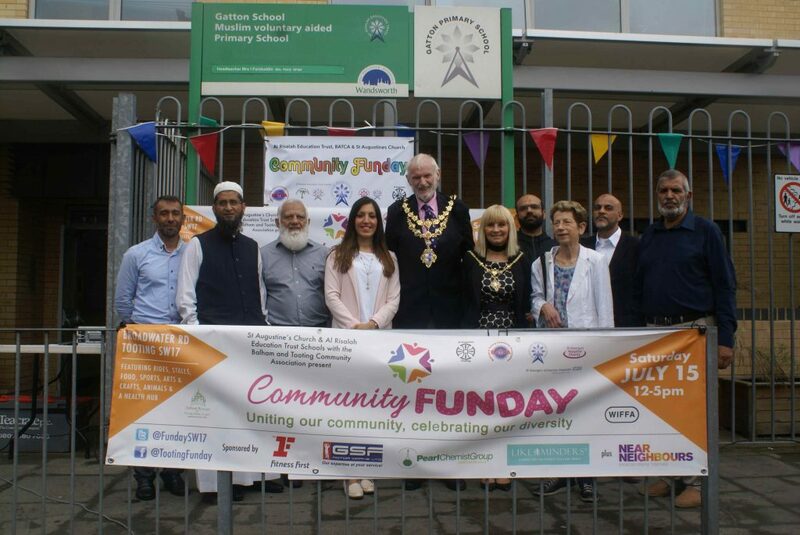 Local business supported the Fun Day generously, especially lead sponsors Pearl Chemist Group, Fitness First, Likeminders, and GSF Motorworks. 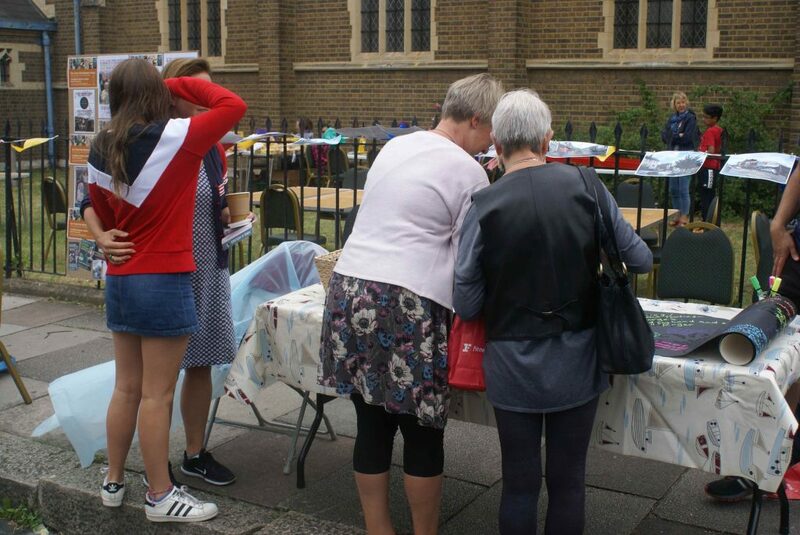 Pooja, Spice Village, Newlight Fashions and Hello Mums also contributed. 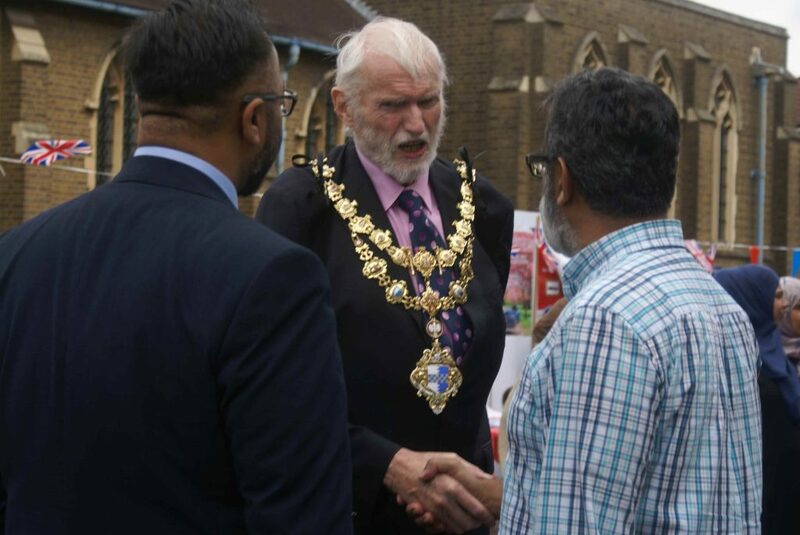 Generous donations were made by the Al Risalah Education Trust, Holy Trinity and St Augustine’s churches, and WIFFA (West Indian Friends and Families Association).